To what extent can we run from our past without fearing our future? Jace, a high school junior, winds up on his older brother’s doorstep after being kicked out of the house by his abusive father. While his father’s abuse was the impetus behind his escape, Jace is worried that he will eventually turn into his father because he looks like him and begins to act like him. Prior to running away, Jace began to abuse his girlfriend, a second strike that makes him weary of his future. 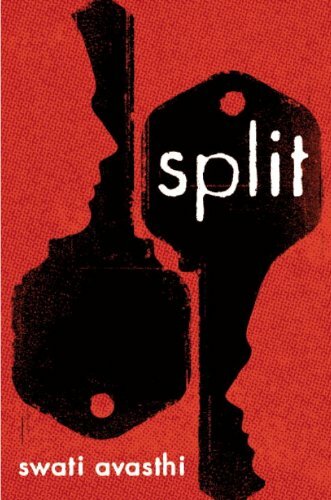 Split makes for a fulfilling reading experience because the story is loaded with contrasts. Jace thought his older brother would welcome him with open arms, yet his older brother has run from the same fate – he does not want to turn into his father. At the same time, both share concern for their mother’s welfare. No matter how many times her husband beats her, Jace’s mother stays, something he does not understand. However, when Jace and his brother make plans to save their mother, they are surprised by what they encounter.